Fall is here, which means winter is well on its way. #1. Determine whether it’s time to replace your HVAC system or not. If your HVAC system is getting up there in years, it’s better to find out now and get it replaced before the temperature drops than it is to be stuck without heat in the middle of a cold night because your HVAC system broke down. Plus, older HVAC systems are incredibly inefficient — 40 to 60 percent less efficient than new systems, in fact. If you’re unsure of whether or not your HVAC system should be replaced, call an expert to take a look. #2. Replace or clean the air filters. When the air filters in your HVAC system are dirty, not only does it spread nasty bacteria and allergens all around your home, but it also restricts the flow of air from your system, hurting its efficiency. Replacing or cleaning the air filters is one of the best, easiest and cheapest ways to make your HVAC system run more efficiently and extend its life. If people in your household suffer from allergies, consider upgrading to an allergen filter. It will help to improve the indoor air quality in your home. Over the summer, dust and debris can build up on your vents and other parts of your HVAC system. While cleaning the vents may seem like a minor, inconsequential task, it’s actually very important for the efficiency of your HVAC system. 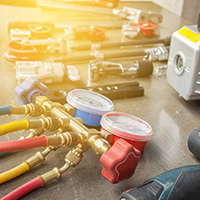 When dust builds up to even one-hundredth of an inch on the blower motor or coil, it can cause your HVAC system to take as much as a 10-percent hit to its efficiency. In fact, a dirty system is one of the most common reasons for high utility costs. #4. Clear away anything obstructing the vents. In addition to dust and debris clogging your vents, there may also be furniture, rugs or other things blocking the vents in your home. Blocked vents not only prevent warm air from actually getting to you, but they can hurt the efficiency of your system. Rearrange your home to ensure that nothing is blocking the vents. For all of your HVAC needs in Cincinnati, choose ElectricMasters. 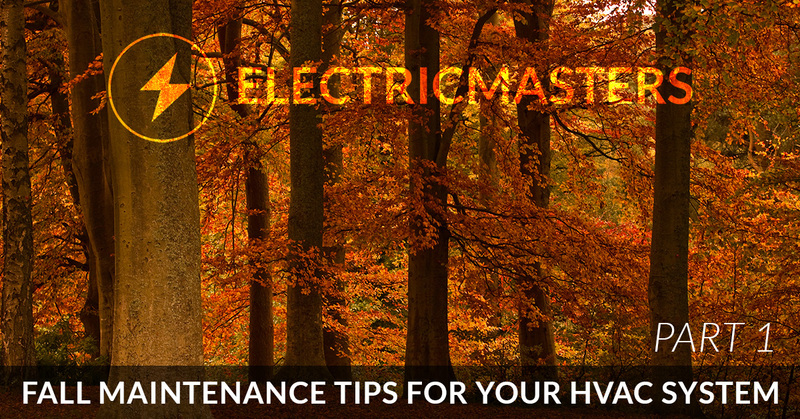 We hope that these tips will help to keep your HVAC system running efficiently and strong all winter long, and in our next blog, we’ll be going over a few more things you can do to prepare your HVAC system for winter. In the meantime, if you’re in need of HVAC installation, maintenance, repair or any other HVAC service in Cincinnati, choose ElectricMasters. Contact us today to schedule your appointment.